64 Sheet 6"x6" paper pad with fabric texture, embossed, pearlescent and UV effects, half double sided designs. 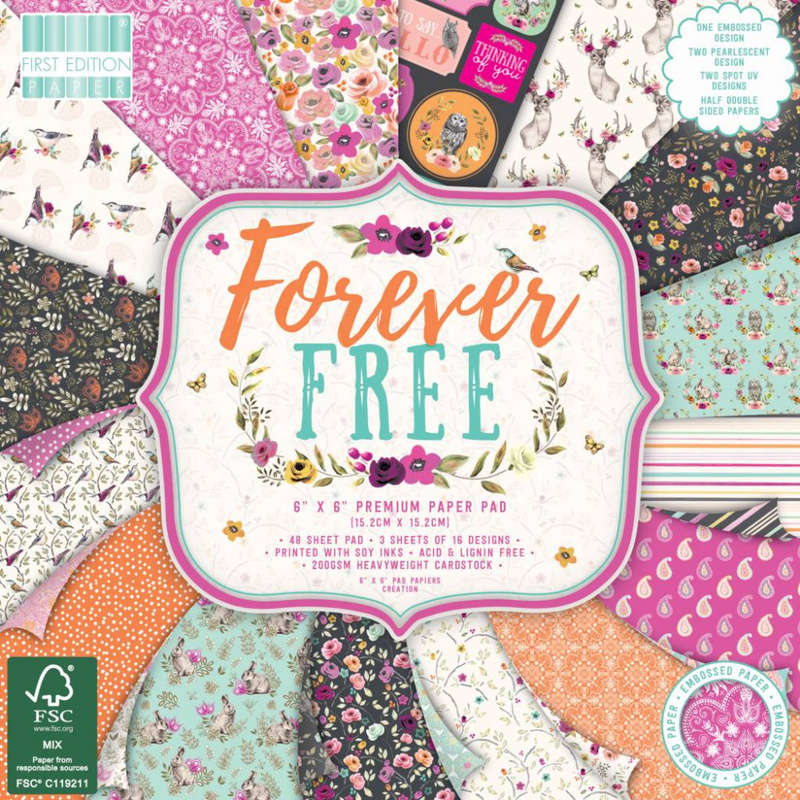 FSC certified (C119211) acid and lignin free For all occasions worth celebrations First Edition The Promise captivates luxury and romance with beautiful patterns of florals, lace and damask repeats designs. Stunning pearlescent and embossed designs add to it charm.